An Eco friendly notepad that has 60 leaves and is made from recycled material. 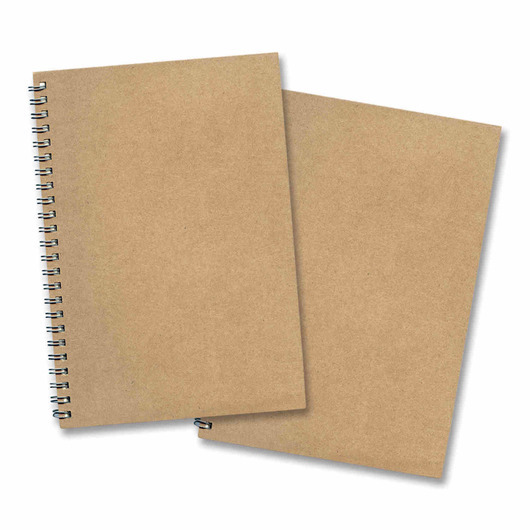 These wiro bound eco notepads are perfect for your next promotion. The cover and notepad are made from recycled paper and contain 60 leaves (120 pages). Great for school, work and university, these medium sized notepads help out the planet and make your logo shine.